Celebrate the Magic of Christmas! In July! 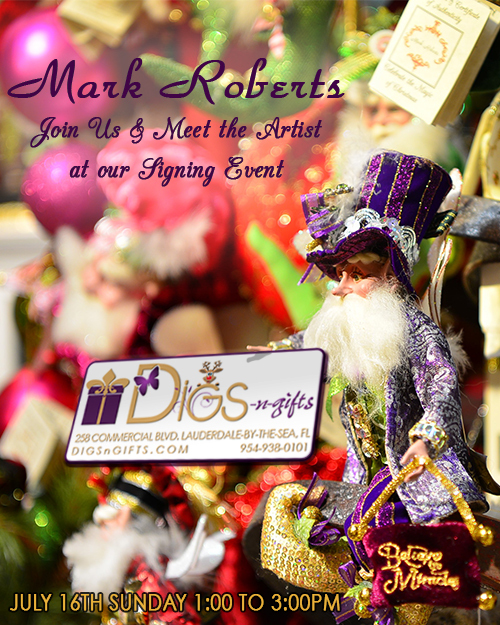 ... with Mark Robert's Return to Fort Lauderdale - Lauderdale-By-The-Sea and Join Us at Digs N Gifts as he introduces his new 2017 Magical Fall and Christmas Fairies and Elves Limited Edition Collections. Be among the first to see and have your 2017 Fairies Signed by the Artist. Sunday, July 16th 2017 from 1:00pm - 3:00pm. Come early and be the first to preview Marks New 2017 Christmas Designs! 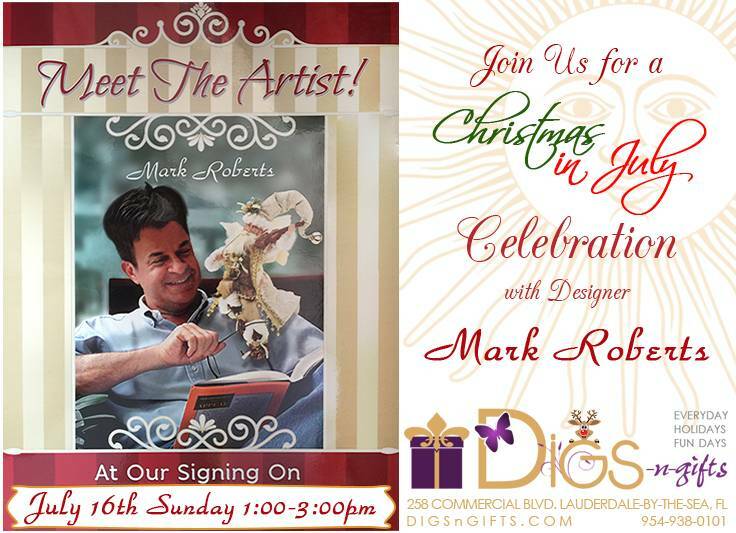 "Have your picture taken and your Mark Roberts collectibles signed by the designer himself. Come join us for fun and festivities Christmas in July Celebration in our traditional Digs N Gifts Style."